Weight loss can be complicated. 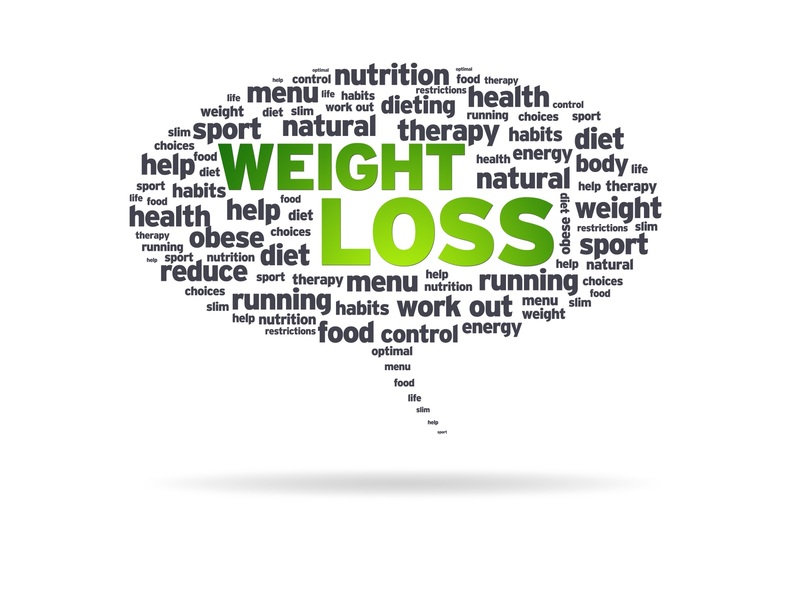 There's more to losing weight than just willpower. Has this ever happened to you: after working hard to lose weight, the scale starts tipping in the wrong direction? Ever get utterly frustrated throw in the towel? A new study explains why there is more to this situation than just willpower. A recent study published in the New England Journal of Medicine followed 50 people for over a year. What they found was that as people lose weight, their hormones respond by stimulating hunger and sending messages to “eat more”. The hormone gherlin tells us to eat more; the hormone leptin tells us to stop eating. When we lose weight, it appears that the body produces more gherlin and less leptin to try to encourage our body to regain the weight. From an evolutionary stand-point, this makes sense: if your body senses calorie restriction, it sends messages to eat more in order to survive. But, from a dieter’s perspective, this is frustrating and explains why it is so difficult to maintain weight loss. Weigh yourself daily. One study found that people who weighed themselves daily were able to maintain weight loss; their counterparts who didn’t weigh themselves gained back at least 5 pounds. And being accountable for weigh-ins (like texting HEALTHeME or using your online tracker) helps people be more successful maintaining weight loss! Re-fuel with fruits & vegetables. Not only are they naturally low in calories and fat, they’re also high in fiber. Fiber keeps you feeling full and satisfied. So, when you’re body is telling you it’s hungry, fruits & veggies make a satisfying snack with staying power! Re-train your brain. One 2008 study found sugar can be an addictive substance. Get rid of the Halloween candy and make sure you only have healthy snacks on hand. Eventually, you can train your brain to crave healthy foods! Move your body. 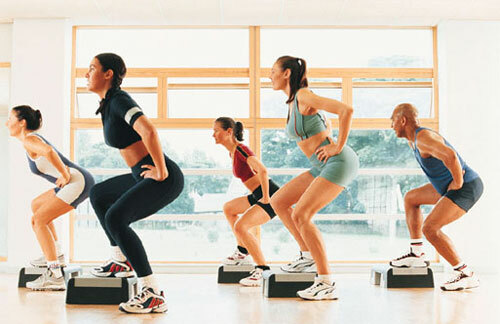 Exercise helps maintain a healthy body weight. Plus, exercise fights stress and boredom – both of which make you think you’re hungry, even when you’re not! Think before you drink. People who drink sodas, even diet sodas, weigh more than those who drink water. Plus, the signals your body sends when it is dehydrated can mimic the messages sent when you’re actually hungry! Aim for 6-8 glasses of water each day! October is Breast Cancer Awareness Month. In light of this devastating disease, it’s important to bring awareness to the link between healthy living and your risk of developing any cancer. According to the American Cancer Society, one out of every three cancer diagnoses can be linked to excess body weight, an unhealthy diet, or inactivity. Of these, excess body weight seems to be the most serious of the risk factors! In fact, 14%-20% of all cancer deaths are associated with overweight or obesity. Increasing the amount of physical activity you get can help you maintain a healthy body weight and may also be an important cancer-prevention tool. A recent Japanese study found women who exercised 8-10 hours each week were more likely to enter menopause earlier than their inactive counterparts. This is significant because researchers believe that exposure to hormones, like estrogen, increase the risk of developing certain cancers. By entering menopause earlier, you decrease your exposure to some hormones, thereby decreasing your risk of cancer. But, exercise alone isn’t enough. Healthy behaviors, like following a healthy diet and getting adequate sleep, are an essential part of cancer prevention. One study of almost 6,000 women found that exercise was only effective in helping prevent cancer if she also got at least 7 hours of sleep each night. Sleeping less than 7 hours nightly appeared to negate the cancer-prevention benefits of exercise. Working towards a healthy body weight through regular physical activity, making healthy food choices, and getting quality sleep will do more than just help you fit into your favorite fall jeans! In fact, these changes may help prevent diseases like cancer and help you live a longer, happier life. Soda packs on the pounds. 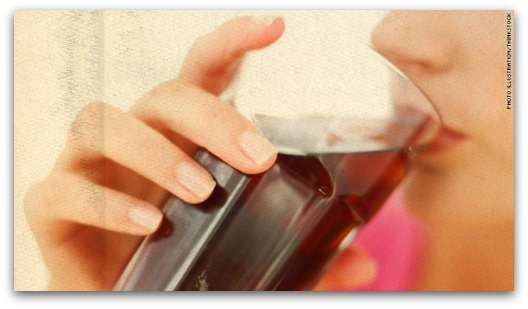 From sodas to sports drinks and sugary coffee concoctions, sweetened beverages are everywhere! And, most Americans drink at least one of these sugary beverages per day. According to the Centers for Disease Control and Prevention, the average male consumes 175 calories from beverages per day; the average woman consumes 94 sugary-drink calories daily. Even drinks you might consider “innocent”, like sports drinks and vitamin-enhanced water, contain calories and are loaded with sugar. The average bottle of soda or juice has 2 servings per bottle and around 200-250 calories per bottle. One recent study examined the effects of drinking juice versus eating the real fruit. Researchers found that people who drank juice gained more weight than those who ate fruit. Most juices are missing fiber, a key to feeling full and satisfied. So, even though you are consuming calories in these sugary beverages, your body doesn’t feel “full” and you continue to eat a regular meal on top of your calorie-dense drink. This leads extra calories and weight gain. Interestingly, researchers of the aforementioned study also found that people who didn’t compensate for the extra fruits they were eating also gained weight! Although they didn’t gain as much weight as the juice drinkers, they did gain a few extra pounds. This brings up the key point that fruits and vegetables need to be eaten in place of, and not in addition to, high-calorie foods and sweetened beverages. Finding the Right Exercise Intensity for Weight Loss. Could exercise be a “magic bullet” for health? It's certainly true that regular exercise helps prevent major diseases like cancer and diabetes; exercise can boost your mood, increase energy, and battle depression; exercise can also help weight loss. A tough workout can also leave you feeling sore, tired, and ready to hang-up your workout gear for good. "According to a recent study, women who participated in more moderate intensity workout sessions were happier, more energized, less anxious, and more likely to stick with their exercise program." Moderate-intensity exercisers also reported increased levels of self-efficacy. Self-efficacy is the belief that you have the knowledge and ability to achieve a certain goal and is a key to weight loss. One study found that improved self-efficacy during the course of a weight loss program increased the amount of weight participants lost - a double bonus! Most people will be most comfortable exercising between 3-5 on the scale. Staying in the moderate intensity range may help you feel better after your workout and more likely to stick with your exercise program.